The aim of this M.A. thesis is to compare the doctrine of baptism in the Catholic church and in Evangelical churches, and it is composed of six chapters. 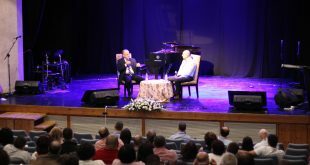 Last October Nazareth Evangelical College and the Baptist School in Nazareth hosted the Global Leadership Summit (GLS) for the second year in Nazareth. About 140 people from various backgrounds attended the conference. 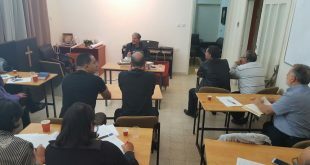 Nazareth Evangelical College hosted Rabbi OR Zohar on October 20, 2016 for the first lecture of a series of lectures about Judaism. The lecture was attended the college’s students, teachers, alumni and guests. The title of this lecture was “The Sacred Books in Judaism”. 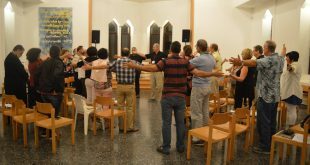 Nazareth Evangelical College (NEC) held a prayer conference in partnership with College of Prayer International titled "Lord Teach Us How to Pray", at Ness Amim conference center near Nahareya on September 27-29, 2016. 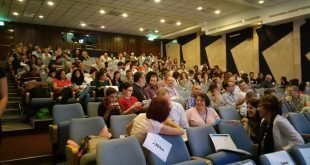 NEC students, faculty, staff and guests attended the conference. 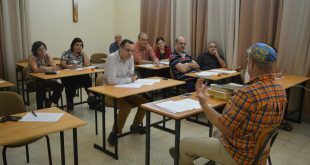 Nazareth Evangelical College celebrated its second graduation ceremony on Saturday September 3rd 2016. 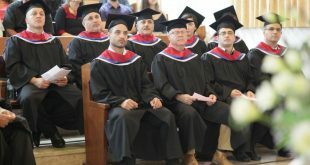 Ten students graduated (three women and seven men) from two programs: the BA in Biblical Studies and the MA in Leadership and Christian Ministries. This M.A. thesis introduces the church’s commitment to Jesus’ example in caring throughout spiritual mother ministry. This M.A. thesis introduces the church’s commitment to Jesus’ example in discipleship throughout witnessing growth and constancy.